About: This introductory river adventure is geared towards families and beginner rafters. This trip includes 1 run down a 2.5 mile section of river below the Pontook Dam on the Androscoggin River. With sections of class II+ rapids and sections of calmer water, guests should anticipate a laid back day on the river, hitting some mild rapids with time to swim as well. A run down the river takes approximately 45 minutes. After the run, guides and guests will bring the rafts back to the shuttle vehicle. Location: This adventure meets at our raft base in Gorham, NH. Duration: This trip last approximately 3 hours from start to finish. What Do I Need To Wear/Bring: please click here >> General Rafting Information << for a detailed list of recommendations! 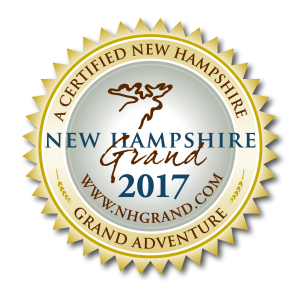 Price includes: a guide, safety gear, comfort gear, transportation from our raft base in Gorham, NH to (and from) the river and a light riverside snack. Our rafting trips depart rain or shine! It is common for our local weather forecast to call for a “chance” of thunderstorms and/or rain throughout the day. Trips are not cancelled and refunds are not issued in the event there is a “chance” of thunderstorms and/or rain showers predicted. On this trip we provide a light snack (water, granola bars, etc.). Guests with dietary preferences and/or restrictions (allergies, sensitivities, etc.) are strongly encouraged to bring along their own snacks as our snack options may fluctuate. We require that at least 6 guests are signed-up to conduct this trip. This requirement applies to the trip overall, not your individual party size. If the overall trip minimum is not met, you will be contacted by 4:00pm the day before your departure and given the opportunity to either reschedule or cancel and get a refund. What Is A Class II Rapid: The American Whitewater Association Classifies Class II Rapids As – straightforward rapids with wide, clear channels which are evident without scouting. Occasional maneuvering may be required, but rocks and medium-sized waves are easily missed by trained paddlers. Swimmers are seldom injured and group assistance, while helpful, is seldom needed. Rapids that are at the upper end of this difficulty range are designated Class II+. **After making an online reservation, you will be emailed a confirmation letter that contains driving and parking instructions, a list of items we recommend you wear/bring along and a receipt for your records. If you don’t see your confirmation email in your inbox, please check your spam/junk folder as our automated correspondences get filtered into there frequently (especially with Gmail users). Don't forget your trip photos!